Between 1861 and 1862 Prince William County was on the front line of the deadliest war in American history. This tour will serve as an overview tour to introduce you to the Prince William’s many important Civil War sites - First Manassas, Potomac River defenses, Occoquan, and Second Manassas. 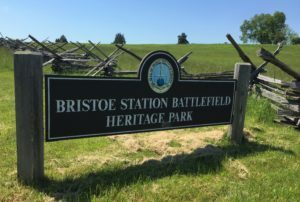 We will also examine the political climate in Prince William County at the onset of the Civil War, and the role played by Prince William County citizens and Prince Williams geography as we continue to look at the important Civil War sites of Bristoe Station and Buckland Mills in 1863.